In mid-April, Sony's PlayStation Network servers were compromised and over 77 million customers had their personal data exposed. Two weeks after Sony learned of the breach, they issued a public apology. As part of this, they also are offering a bribe they are calling the "welcome back" program. But Sony has not issued an apology to Alexander Egorenkov (graf_chokolo) and George Hotz (geohot), whom they harassed and threatened with extreme force for modifying their own PS3 computers. Nor has Sony issued a statement that they will stop bringing legal action against individuals that wish to modify their own PS3 computers. Now, Sony is asking users to give up additional personal information and control of their machines to Sony's DRM-encumbered network, in exchange for accessing some multimedia from Sony servers for 30 days. Sony's chief says that his number one job is in "making sure Sony can regain the trust from [their] users." Perhaps if he hadn't turned off his email account in response to public feedback, he'd know what users actually want. How about promising to stop suing users for installing software on their own computers? 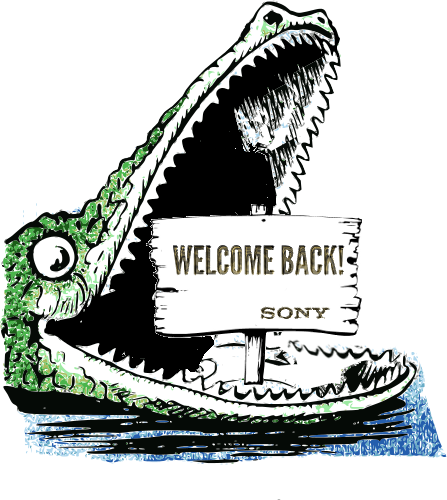 So, no thanks, Sony, we are still boycotting you! You can read more about our boycott of Sony, at www.defectivebydesign.org/sony.